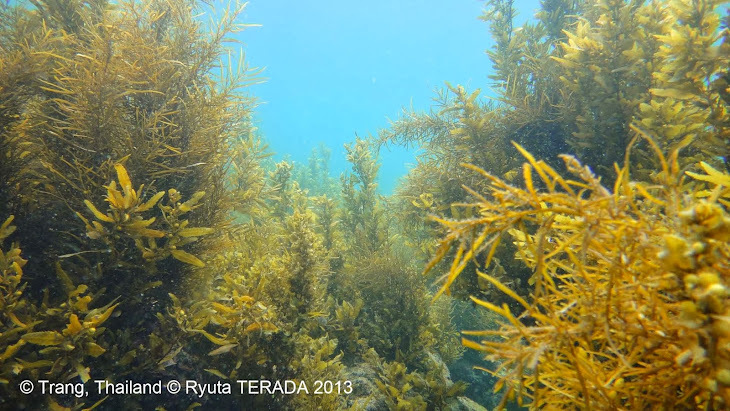 We conducted a field survey in Ibusuki City to collect some seaweeds including Padina minor. 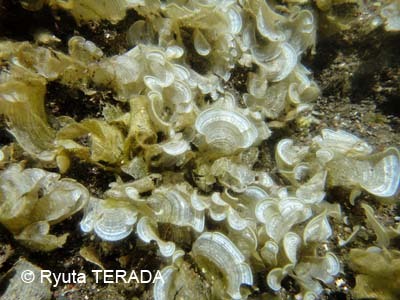 Collected materials will be used for the laboratory class of Marine Botany for undergraduate students. 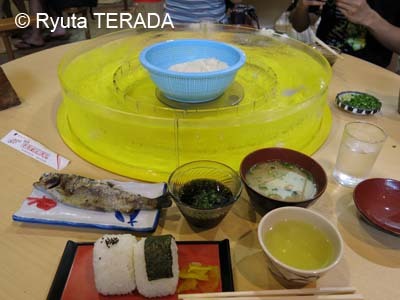 After the field work, we had a lunch at an outdoor Japanese restaurant in Ibusuki City. 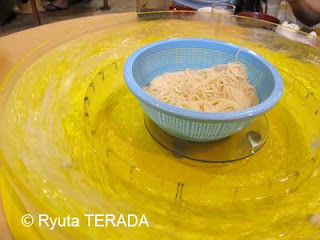 Special dish of this restaurant is a Somen (fine noodle that was soaked in cold fresh water). Indeed, we can see an unique apparatus that flows in a circle flume. Catch it by chopsticks and dip it in a source (center, a small glass), and eat. Can you find the flowing noodles in the flume? Can you catch it by chopsticks?